Quebec firefighters are seeking help from the provincial government to deal with an increase in the number of reported cases of post-traumatic stress. 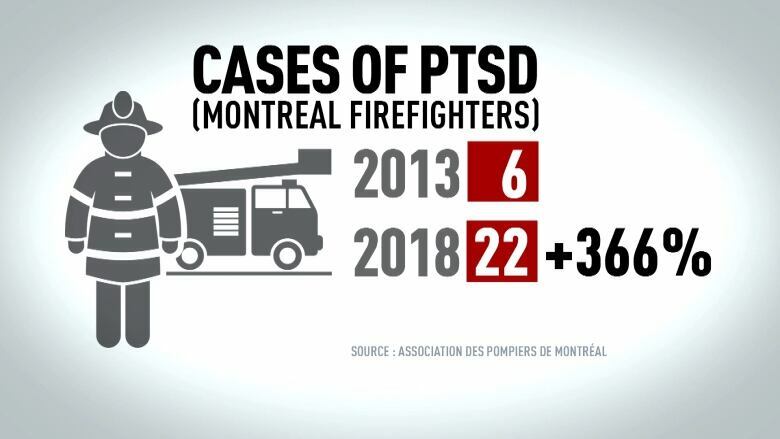 Data provided by the Montreal firefighters union, known by its French acronym, APDM, shows that the number of diagnosed cases of post-traumatic stress disorder has jumped from six in 2013 to 22 in 2018. But the data doesn't reveal how many first responders have not come forward, the union's vice-president said. "I suspect that, for every individual who raises his hand, there are three others who suffer in silence," Richard Lafortune told Radio-Canada. 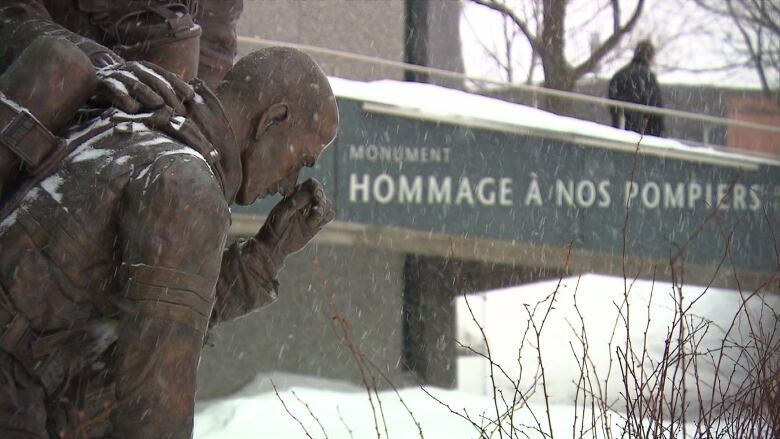 He said the condition should be recognized by the Quebec's workplace health and safety board (CNESST) since physical and psychological injuries are treated separately under Quebec's workplace safety law. Unlike physical injuries, a worker must prove that post-traumatic stress is work-related, said lawyer Sophie Mongeon, noting that the law dates back to 1985. The provincial association of firefighters (RAPQ) is calling on the government to update the law. The association is meeting with Labour Ministry officials Monday to make its case that post-traumatic stress be recognized as a professional injury. Quebec Labour Minister Jean Boulet has already said he wants to amend the law. The CNESST did not respond to a request for comment. Montreal's union is blaming the rise in post-traumatic stress on the fact that since 2007, firefighters have been trained to handle medical emergencies, and they're often first on the scene. That means additional first responder duties are exposing firefighters to more traumatic scenes, the union says. First responders who work for Urgences-Santé in Montreal have complained of similar issues in the past. 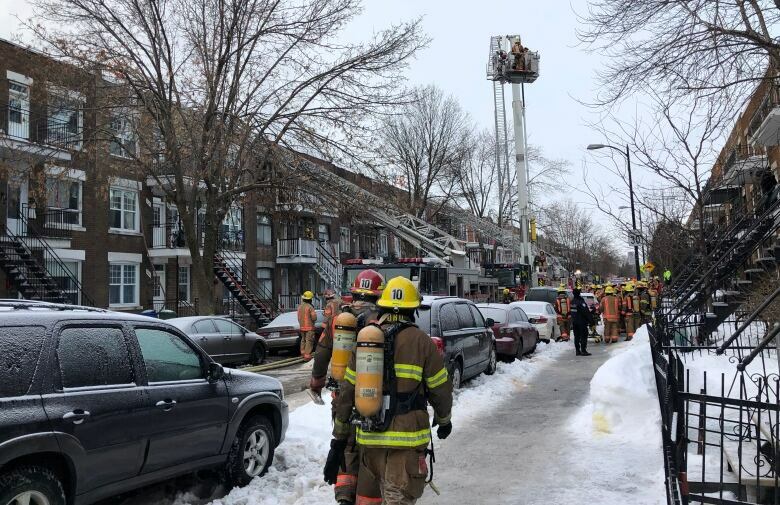 Radio-Canada cited one Montreal firefighter's haunting experience of an unsuccessful attempt to resuscitate a baby in her crib. The firefighter, who asked to not be named because he is concerned speaking out will hurt his reputation, also described seeing elderly people living in atrocious conditions, cutting down people who have hanged themselves and seeing a young man die in Montreal's Metro. He has been off work for six months and has had to fight with CNESST to have his condition recognized, he told Radio-Canada. Chris Ross, president of the Montreal Firefighters' Association, said this kind of thing shouldn't have to fall on one person's shoulders. "It's that famous stigma that this is normal. You know, 'You're a firefighter, you got on the job. It's okay to see dead people.' And I think the message that we're trying to send right now is, it's not OK."